Develop Women and Minorities at the expense of White Males: It would be wrong to use diversity to create camps of winners and losers. Lowering standards performance: Skills, competence and performance should always dictate hiring, promoting and retaining workers. A replacement or substitute for Affirmative Action: AA is a program set by legislators and could fade away and disappear; Diversity is a long term natural process that will never go away. 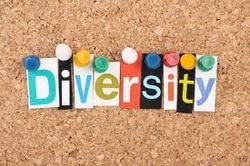 A short term process: Where diversity does not exist, it is in our interest to create and develop it. This article was published in the Small Business Monthly (Kansas City) in February 2006.